We offer this book with a signed original pencil drawing on the title page. Please request your choice of fly. 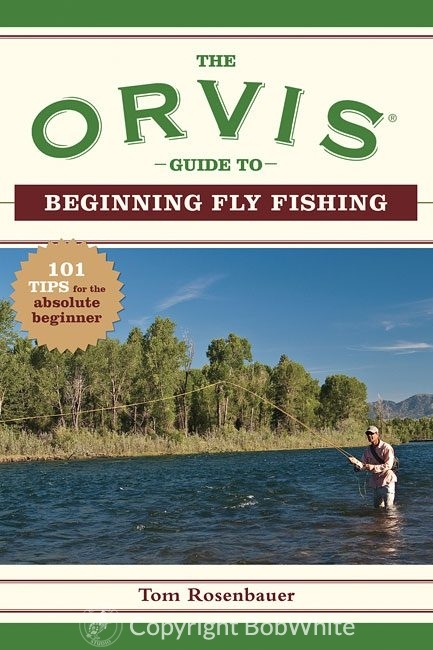 With 101 fly fishing tips for the absolute beginner, this invaluable guide from fly-fishing veteran and Orvis expert Tom Rosenbauer covers everything you need to know to get started in fly fishing, from casting methods and knot tying to safety advice. A comprehensive education in a compact package, this guide answers common questions and clearly explains proven techniques, with helpful illustrations and photographs throughout. A great gift for the novice and a good resource for any fishing library.